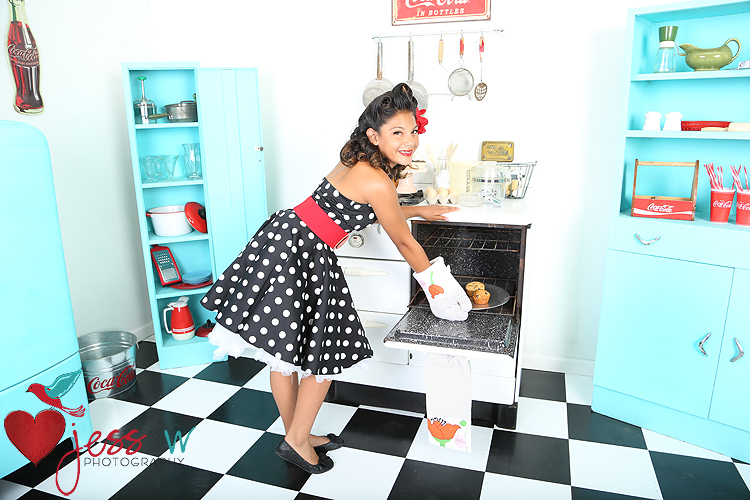 Our Retro Kitchen set is in full swing here in our Las Vegas Pinup Studio. One of our most popular sets is up and ready for photoshoots! We even have a few fun new props including a retro General Electric Fridge that I refinished to match the cabinets! 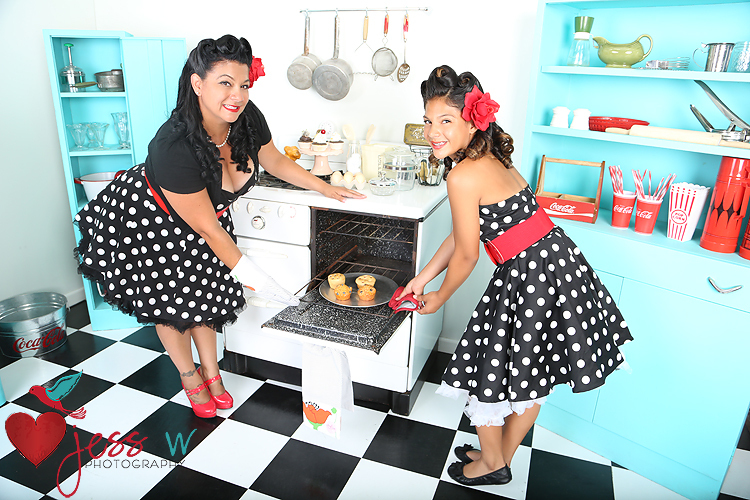 As always ALL photo sessions at Jess W Photography Include professional hair and makeup. 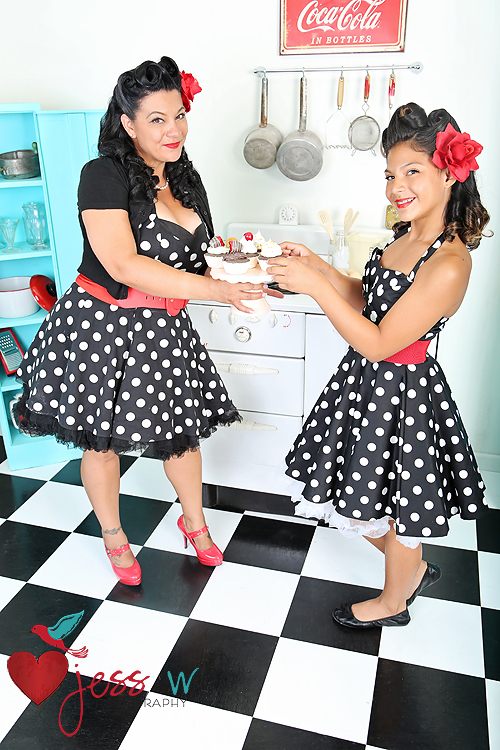 Take a step back in time in our authentic one of a kind retro sets; with era correct hair & makeup and our wide array of eye catching wardrobe you will look and feel like a pinup right from the pages of a vintage magazine. Take a look at our prices and packages HERE and don’t forget to sign up for our newsletter HERE for a first look at upcoming specials and events.